In response to rapidly dwindling global honey bee populations - vital in pollinating a third of the world’s crops - environmental and food safety groups have sued the EPA for approving bee-ravaging pesticides despite damning evidence of their effects. The Center for Food Safety filed in mid-December a legal brief in support of a lawsuit backed by many organizations that seeks a reversal of the US Environmental Protection Agency’s (EPA) May decision to approve sulfoxaflor - a type of insecticide chemical known as a neonicotinoid that is associated with mass death among bee populations worldwide. In fact, the European Union has banned neonicotinoids for two years based on scientific studies that have linked their use to sudden eradication of entire beehives - a phenomenon dubbed ‘Colony Collapse Disorder’ (CCD). 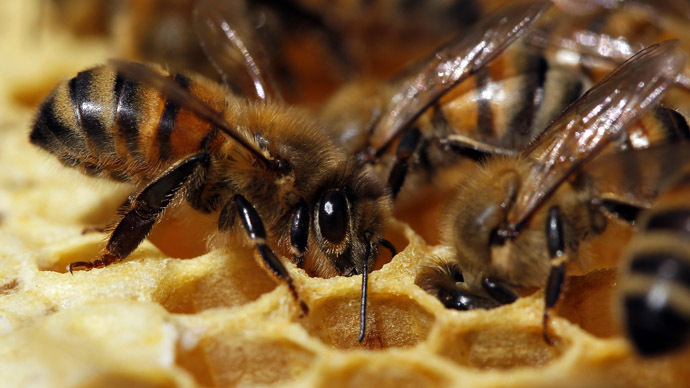 Since 2006, CCD has caused the devastation of an estimated 10 million beehives at an average value of $200 each, according to a May report by the US Department of Agriculture. Nevertheless, the report has been criticized for underplaying the role of pesticides in CCD, instead leaning on “multiple factors...including parasites and disease, genetics, poor nutrition and pesticide exposure” as well as last summer’s drought. The report preceded the EPA’s approval of sulfoxaflor by only a few days. 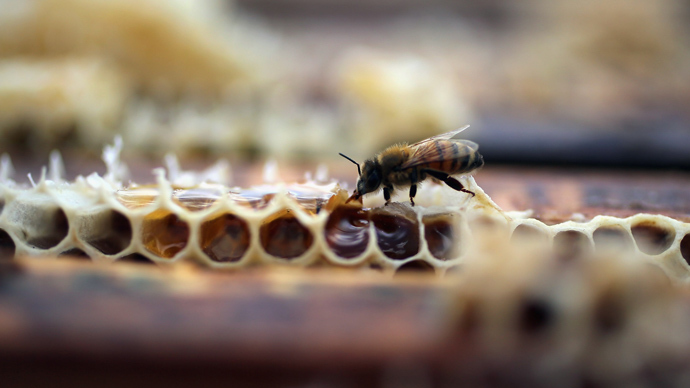 The lawsuit is the first to invoke the US Endangered Species Act to protect bees. “EPA inadequately considered, or ignored entirely, sulfoxaflor’s harm to pollinators and the significant costs that harm will impose on the agricultural economy, food security, and natural ecosystems,” the Center for Food Safety and other groups argued in a legal brief attached to the lawsuit targeting sulfoxaflor’s sanctioning. The new litigation - which includes many beekeepers hit hard by the recent wave of CCD - adds to a previous lawsuit filed in March in federal court by the Center for Food Safety that asks for a block of the EPA’s endorsement of two other popular neonicotinoid pesticides - clothianidin and thiamethoxam. The suits both claim the EPA violated the Endangered Species Act by not sufficiently considering the impact of pesticides on honey bees and other imperiled wildlife categorized as threatened or endangered under federal law. The Endangered Species Act prohibits government agencies from taking any action that could compromise a species in jeopardy before first consulting with the US Fish and Wildlife Service (FWS). Groups challenging the EPA’s decision cite government records showing the EPA did not follow proper protocol. “For at least one neonicotinoid insecticide, FWS scientists are on record stating ‘EPA is ignoring their duties with respect to consulting with FWS,’” the lawsuit states. The EPA counters that it followed the mandated steps in approving the challenged pesticides. 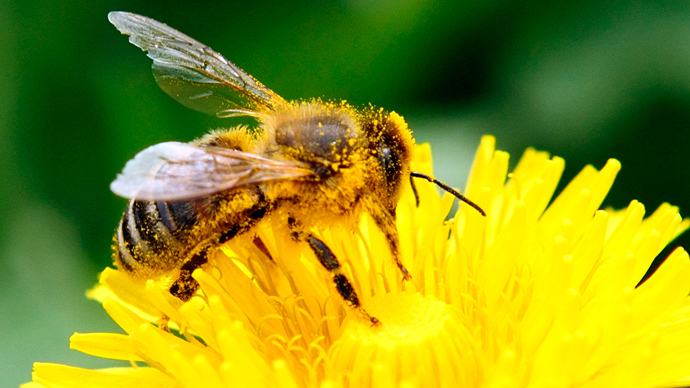 Though in August, the agency acknowledged their potentially harmful effects when it prohibited their use around bees and other pollinators. “Scientists have linked the drastic declines in honey bee and other pollinator populations to systemic pesticides and, more specifically, to a category of systemic pesticides known as neonicotinoids,” the Center for Food Safety explains in its brief. In July, scientists from the University of Maryland and the Department of Agriculture published a study that linked chemicals - including fungicides - to the mass die-offs. The research shows that bees exposed to common agricultural chemicals while pollinating US crops are less likely to resist a parasitic infection. As a result of chemical exposure, honey bees are more likely to succumb to the lethal Nosema ceranae parasite and die from the resulting complications. Last winter, the honey bee population declined by 31.1 percent, with some beekeepers reporting losses of 90 to 100 percent of their bees. 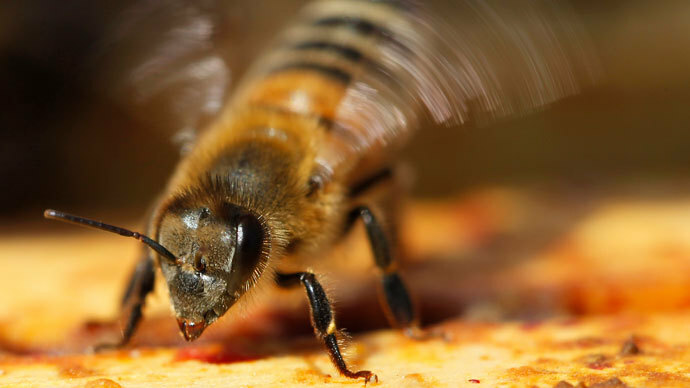 Scientists are concerned that “beemageddon” could cause the collapse of the $200 billion agriculture industry, since more than 100 US crops - including apples, zucchinis, avocados, and plums - rely on honey bees to pollinate them. Bees are declining at such a fast rate that one bad winter could trigger an agricultural disaster. California’s almond crop would be hit particularly hard, since the state supplies 80 percent of the world’s almonds. Pollinating California’s 760,000 acres of almond fields requires 1.5 million out-of-state bee colonies, which make up 60 percent of the country’s beehives. CCD is a major threat to this $4 billion industry. In June, days before National Pollinator Week, an estimated 25,000 bees were found dead in an Oregon parking lot. Scientists linked the deaths to pesticide use. The European Union’s moratorium in April on the use of neonicotinoid pesticides like sulfoxaflor came as a number of European countries were monitoring the declining health and colony collapses in their bee populations, including France, the Netherlands, Greece, Italy, Portugal, and Spain. Powerful chemical producers voiced harsh disapproval of the EU’s ban. 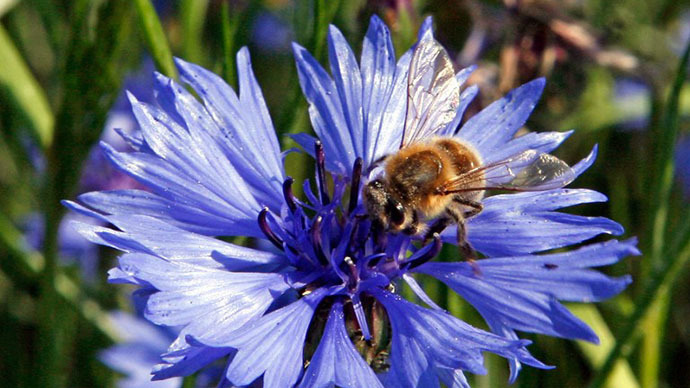 The new lawsuit - Pollinator Stewardship Council et al. v. U.S. EPA - was filed by Earthjustice in the Ninth Circuit Court of Appeals in San Francisco.